Hendrick’s Orbium, the latest expression from the curiously odd Hendrick’s Gin, is now available to procure from British Columbia liquor stores. Containing the same whimsical 11 botanicals as the inceptive liquid, Hendrick’s Orbium infuses wormwood, blue lotus blossom and quinine taking recipients further down the rabbit hole into the Hendrick’s parallel universe. Hendrick’s Gin, a peculiar liquid often reserved for the curiously odd, explores its darker and mysterious side this February by enticing inquisitive minds further down the Hendrick’s rabbit hole into their parallel universe through the release of the finite libation referred to as Hendrick’s Orbium, in British Columbia.Inspired by Hendrick’s Gin Master Distiller Lesley Gracie’s description of the liquid journey, Orbium is derived from the word “orb”, commonly known as the plural of Orbis, the Latin word for circle. Perfectly presented in the iconic apothecary style, now associated with Hendrick’s Gin, Orbium comes in a deep, sumptuous, cobalt blue bottle inspired by the essence of Blue Lotus Blossom, one of the key ingredients in the parallel pleasure of this special spirit. 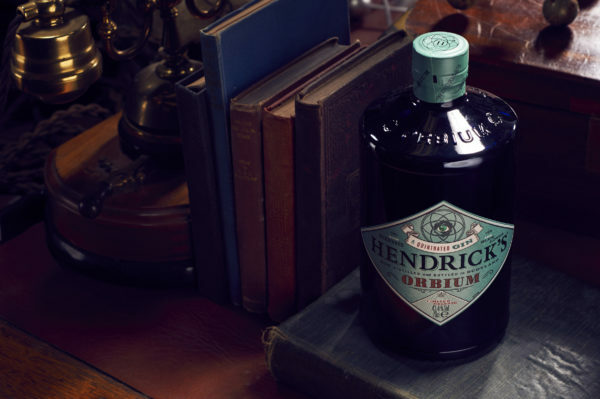 “Orbium leaves an unfamiliar yet oddly familiar sensation on the palette,” comments Alvin P. Ramchurn, Purveyor of the Peculiar and Canadian National Brand Ambassador for Hendrick’s Gin. 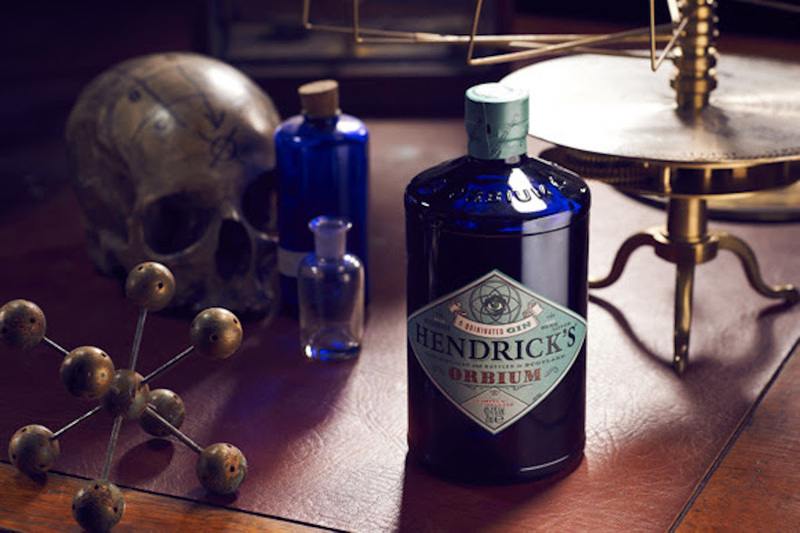 Distilled with a trinity of three additional elements to the already fortuitous flavours of cucumber, rose and 11 botanicals in the classic Hendrick’s Gin, Orbium is truly a parallel experience of the world’s most peculiar, infusing the classic flavours of gin cocktails in one reimagined experience. Quinine (often found in tonic water) is expertly infused into Orbium as is wormwood, usually found in vermouth, a common ingredient in a traditional gin martini. A third element in the Orbium trinity of taste that will pleasure the palettes of all who shall swill this drink of delight comes from the covert Blue Lotus Blossom, bringing another level of balance, bitterness and brightness to the world’s most peculiar gin. Available only in ten markets across the Globe, Orbium will only be available for a particular period of time in British Columbia. Following this wondrous allotment, Orbium will diverge from the peculiarly parallel universe of Hendrick’s to vanish into vats unknown. For information regarding the Canadian release of Orbium and its availability, please visit the Hendrick’s Gin Press Room. 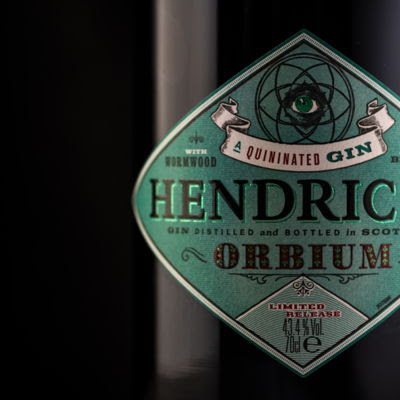 For more information on Orbium, please visit www.hendricksgin.com/orbium. William Grant & Sons Holdings Ltd is an independent family-owned distiller headquartered in the United Kingdom and founded by William Grant in 1887. Today, the global premium spirits company is owned by the fifth generation of his family and distils some of the world’s leading brands of Scotch whisky, including the world’s most awarded single malt Glenfiddich®, The Balvenie® range of handcrafted single malts and the world’s third largest blended Scotch, Grant’s®, as well as other iconic spirits brands such as Hendrick’s® Gin, Sailor Jerry®, Tullamore D.E.W.® Irish Whiskey, Monkey Shoulder® and Drambuie®. Media release provided by Rachael Friel, Evolution PR. 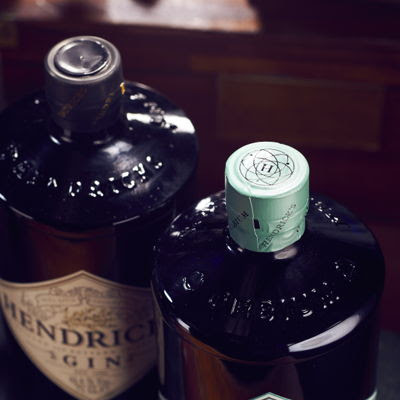 All images courtesy of Hendricks Gin.